Dahi Wali Hari Chutney ( green chutney with yoghurt) is a great dip that goes very well with tikkas, cutlets and kebabs. It can also be used for smearing inside of bread slices in sandwiches. It goes well as a dip with veggies too – like cucumber and carrot sticks. 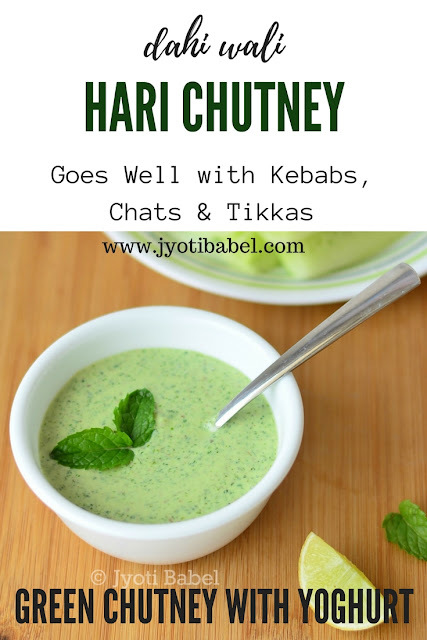 This green chutney is slightly different from the regular green chutney as yoghurt or dahi is added to it. Let's check the recipe straight away. In a chutney mixer jar, add all the above ingredients and blend it till you get a smooth chutney. Check the seasoning and adjust as per your taste. If you like a thicker version of this chutney, blend everything except for the hung curd. 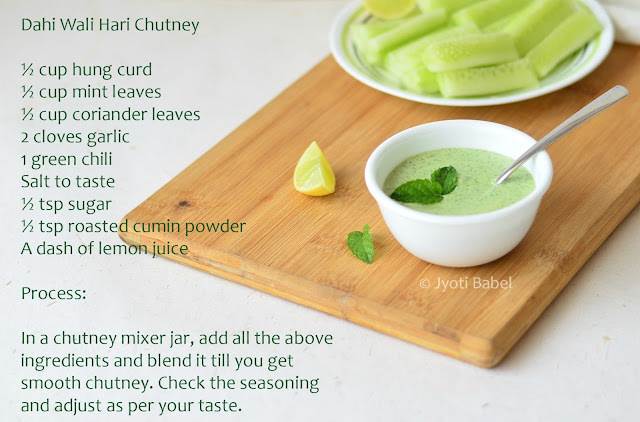 Whisk the hung curd well into the green paste to get a thick dahi wali hari chutney. 1. You can adjust the green chilli as per your taste. Other dips and condiments recipe you can check here. I'm going to use this as a dip and for sandwiches. Refreshing chutney. Wow, that is such a great looking chutney. Bookmarking it to try real soon. I love this chutney. The colour especially. Bookmarking it. I love this Chutney , the colour looks fantastic , definitely a lone of the hit chutneys. Can smell the flavor of this chutney rite here, wat a pleasing colour. Beautiful looking delicious chutney :) Lovely share..
Yummmm.... love the yogurt based chutney and that recipe card of yours is super too. 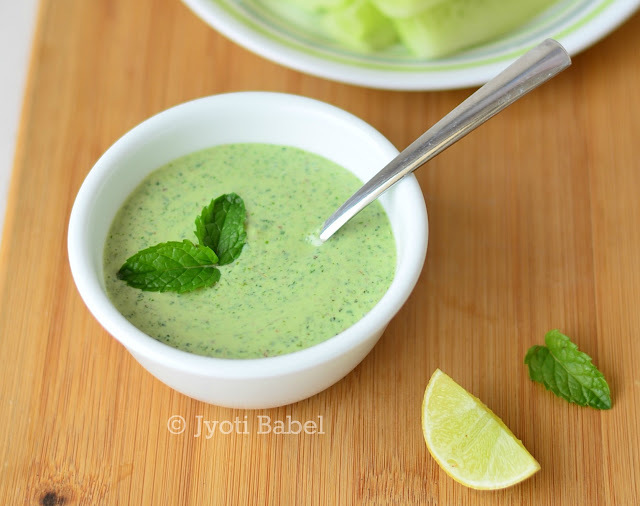 We always use yougurt instead of water to make mint chutney. Love it.